An indisputable magic carpet to understand, motivate and inspire is offered by the universality of numbers. The wisdom of knowledge of Numerology takes the pulse of humanity in both computable and infinite ways, and has been a core essence of astrology, medicine and science since the innovation of language, be it Babylonian, Chinese and other elderly civilisations. 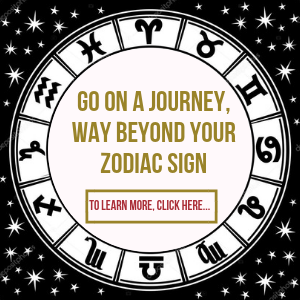 Like astrological divination, Numerology is both romantic and enterprising. Without its natural creativity, the understanding of nuclear physics, the building of great and small structures, transportation by air, sea and highway to the economic achievement, little of today’s democratic cultures would exist. UK and overseas 16th century archives record many astrological pamphlets by various zodiacal writers on the supremacy of so-called mystical numbers. In the Orient, to understand the potency of particular numbers meant being able to unlock the hidden codes of fortunate dates, individual winning combinations and the right moment to do things. In the Far East, and elsewhere, certain astrologers were employed by the powers that be to construct a Numerological Chart, not only mapping out an individual’s destiny, but apt days to set a chosen action into orbit. One Numerological aspect, disputed by the ancient Chinese was that 1 was not the starting point, but that the mystical prime began at 0 in other words, nothing. Because if nothing comes from nothing, this is reasonable, or at least challenging to argue that the understanding of 0 within the concept of Yin and Yang, could be the most extraordinary potency of math as we know it. But who has the keys to this cryptic knowledge? Do such numero-mystics survive? It has been suggested that a veiled tradition lies in the I Ching and that some of its initiates have occasionally published startlingly accurate predictions to a specific month, concerning contemporary national and international events. In 1984, a Chelsea (London, England ) doctor and friend of the famed philosopher and psychoanalyst C. G. Jung, confided among her I Ching circle, a hint of the arcane 0. Later, the writer was given a part written log-book of the late Lady Frieda Harris, artistic exponent of The Crowley Tarot Deck, containing a series of curious clues. Apparently, the numeral 8 is also of great significance. Whacky? Doubters there will be. Numeral 8 according to Solar tradition, associates with Leo - symbol of splendours: the Sun and Moon in deific unity. The Eighth Chinese cylindrical Moon, par excellence, symbolises the harvest, parades, lion-dancers, and recognition of the Jade Hare’s Feast. Coinciding with the Eighth birthday of the Moon, is becomes a double celebration. The Sun, Yang, and the Moon, Yin personifies life and rebirth. There is also a theory, that numeral 8, used within a particular combination of numbers, ensure success in ‘honourable’ or ‘worthy’ endeavours. 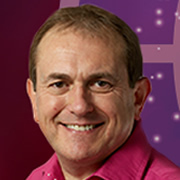 To gain a further insight into your current situation, call my Live Psychics now.